During the Second World War, WRCC realised how important it was to keep community morale high and we organised an extensive entertainment programme of social evenings and whist drives, music and drama events, and special blackout activities. Most popular of all were our mobile cinema shows which brought “romance in tins” to the villages. 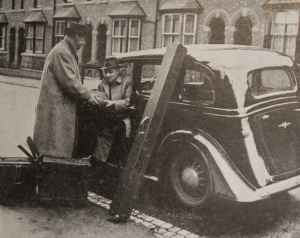 Our volunteers drove the four machines and screens loaned by the British Thomson-Houston Co to village halls around Warwickshire, using their own cars and constantly risking the threat of bombing. The image on the left shows our Organising Secretary, Mr Lindley Richardson, and a volunteer getting ready for a film showing in 1940. Army troops in the area were treated as guests and some villages “adopted” a unit and held shows for them. 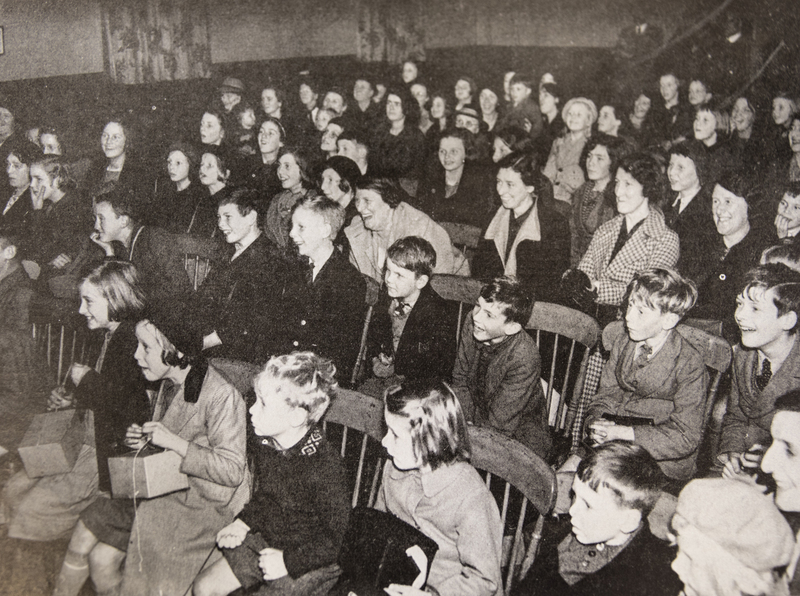 Proceeds from family shows were split between the halls and WRCC’s Entertainments Committee, to help run the programme. The image at the top of this post features a mobile cinema show at Ettington Village Hall in Winter 1939. Over £200 was subsequently raised by a lady in Philadelphia who saw this photograph, to help WRCC provide more children’s entertainment during wartime! If you have any photographs or memories you’d like to share about WRCC and our community wartime work, please email Jackie or call her on 01789 842182.